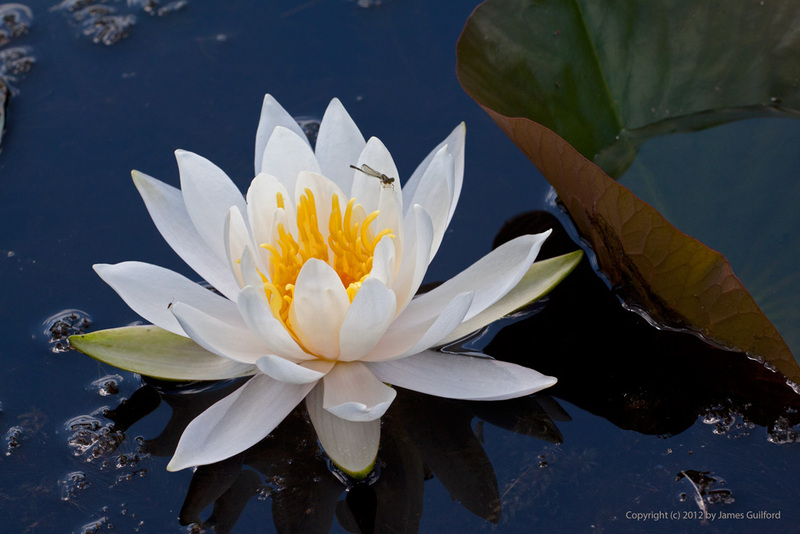 A water lily is a fine resting place for a tiny, busy damselfly. Nice nice nice! Love the combination of colors in this photo. Thanks, Ladywise! I love those colors, too. Exposing for the bright petals of the lily intensifies the depth of color in the darker, surrounding plants and waters. The water, already dark, picks up color from the sky.